The businesses were purchased as part of a divestiture by IFCO Systems, formerly known as PalEx, which was a leading consolidator of pallet businesses in North America. Year 2000 revenues for the operations were $134 million. Wallace pointed out that while the company’s ownership structure is new, a management team with solid pallet manufacturing experience is in place to run the company. “We are pleased to have the opportunity to take an equity position in ownership of a business we have been managing for quite some time. Our team has been working together, in some cases, for over 30 years. The transition for customers and employees will be seamless,” added Wallace. According to Wallace, the board of directors for the new company will be made up of experienced pallet industry leaders and financial partners. 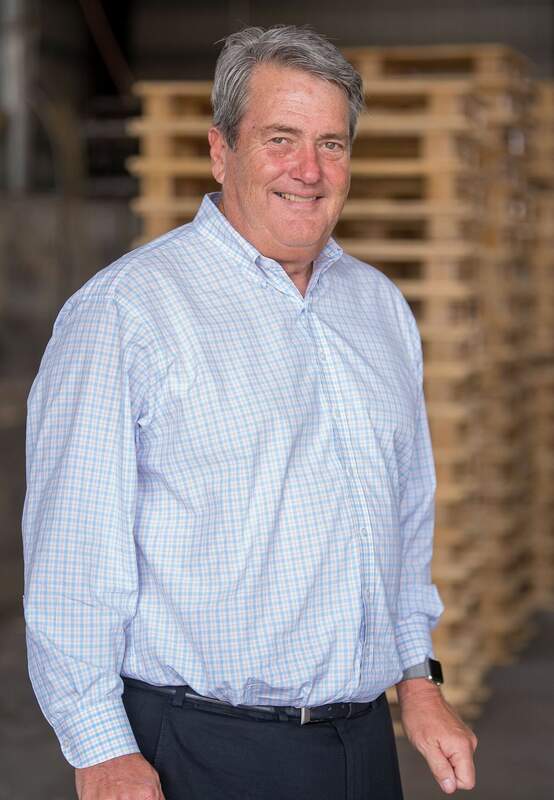 Serving on the board will be Howe Wallace, 46, PalletOne Chief Executive Officer and former Executive Vice President for IFCO Systems as well as a founding partner of PalEx, Inc.; Al Holland, 54, former Chief Operating Officer and founding partner of PalEx,Inc. ; Donnie Isaacson, 44, former owner of Isaacson Lumber Company, A PalEx Company; Joe Longino, 48, Senior Partner at The White Oak Companies; Gary Forbes, 57, Senior Vice President with Equus financial group and Nolan Lehmann, 57, President of Equus. PalletOne employs over 1,000 workers and does not anticipate any significant changes in employment figures in the near term. Facilities are located in Bartow, FL, Hazlehurst, GA, Smarr, GA, Shipshewana, IN, St. Francisville, LA, Livermore Falls, ME, Butner, NC, Mocksville, NC, Siler City, NC, New Boston, TX, Waterloo, WI and New London, WI. The White Oak Companies, headquartered in Dallas, TX, is a boutique merchant bank providing specialized investment banking services to, and making capital investments in, leading private middle market companies with an emphasis in transportation and distribution related businesses. Equus II Incorporated, headquartered in Houston, TX, is a business development company that trades as a closed-end fund on the New York Stock Exchange, under the symbol “EQS.” The Fund seeks to generate long-term capital gains by making equity investments in small to medium-sized privately-owned companies. Capital Southwest Corporation is a venture capital investment company headquartered in Dallas, TX. With assets of over $320 million, Capital Southwest Corporation is one of the nation’s largest business development companies. According to PalletOne, financing for the deal was also provided by PNC Business Credit, headquartered in New York, NY. PNC Business Credit is the nation’s sixth-largest asset-based lender, with over $5 billion in commitments under management. PNC specializes in providing secured financing to middle-market companies in the manufacturing, wholesale, distribution, retailing and service industries.